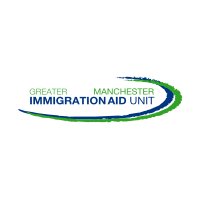 Greater Manchester Immigration Aid Unit (GMIAU) exists to advise, support, represent, and campaign with people who are subject to immigration control. We have been in existence since 1989 and we provide specialist legal advice on all issues of immigration, asylum and nationality. We are passionate about the work that we do and we are committed to providing the best possible service to clients. We represent adults and children in their immigration and asylum matters and take cases to the highest courts when necessary. We continue to provide services during very challenging times. The political climate is hostile to immigration and this is having a harmful impact on those who seek to be reunited with family, or who seek protection in the UK. Cuts in legal aid threaten the integrity and capacity of organisations such as ours to take on new and challenging work and to represent those who are most in need. We do however try to combat some of the harmful effects of this by securing grant income from other sources and developing services to meet the needs of particular groups of people. law and the treatment of people within the asylum system. GMIAU is a registered charity and company limited by guarantee. All our services are free.